In 2007, after baking my way through all my old German bread baking books and Peter Reinhart’s “The Bread Baker’s Apprentice“, I checked for more bread formulas in the internet. In German food magazine Essen & Trinken, one recipe, featuring beer – always a plus! – caught my eye and piqued my interest. 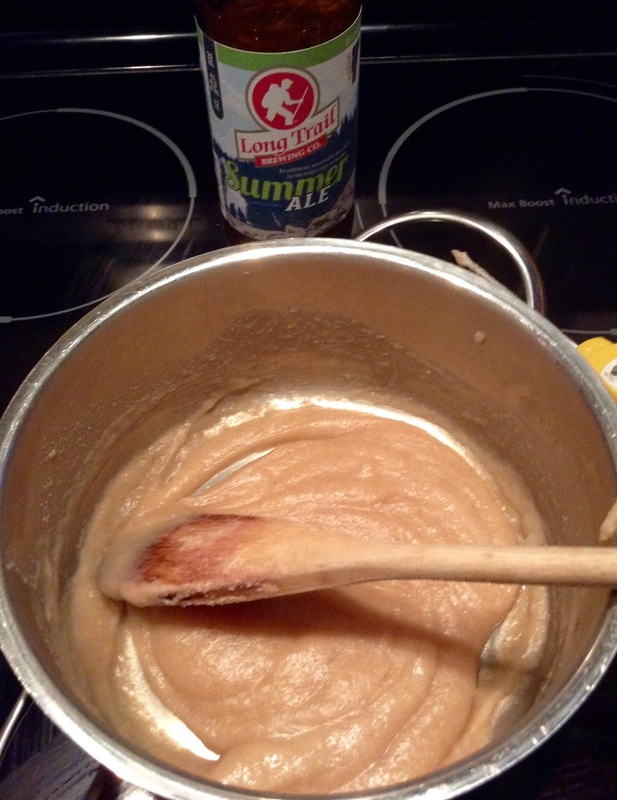 The beer was not only used to hydrate and flavor the dough, but, also, cooked into a mash, to feed the starter! 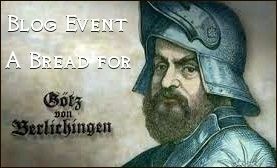 At that time I had the opportunity to chat with Peter Reinhart in an online bread baking Q & A, hosted by “Fine Cooking“, and asked him about the boozy, mash-fed starter. He had never heard of such a thing, either. Not only that – there was another oddity: the recipe described stretching and folding the dough into a neat package, at one hour intervals. What an entirely weird concept! I was puzzled and very intrigued. (Later I found out that S & F as a technique was first mentioned in The Fresh Loaf in 2006. 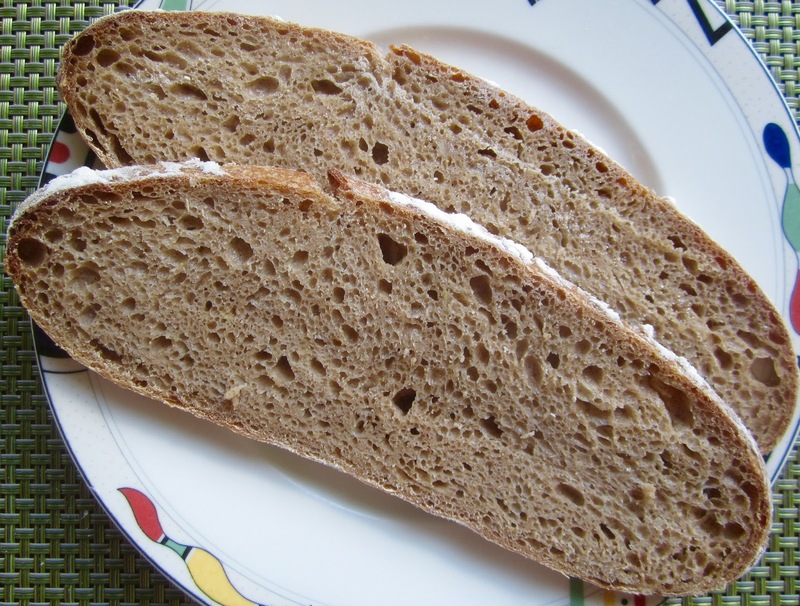 Reinhart’s “Artisan Bread Every Day“, introducing a larger audience to S & F, was published in 2009). 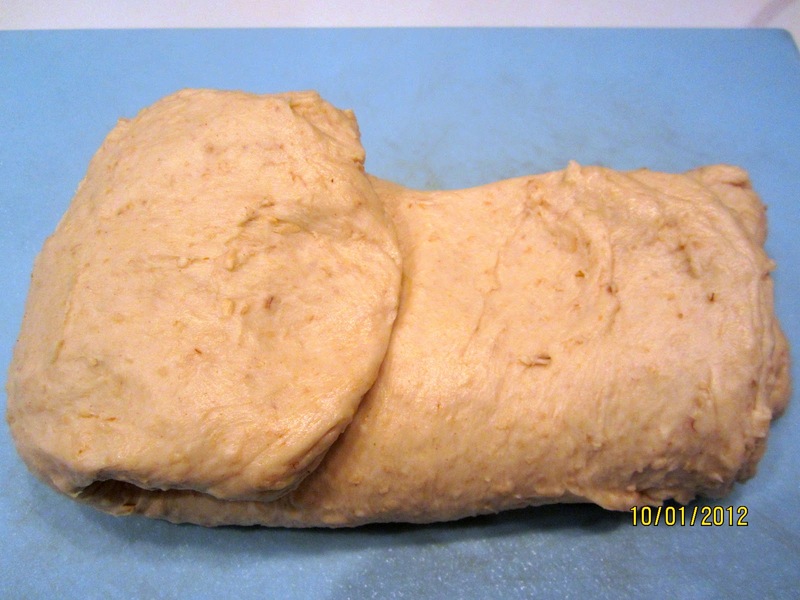 Stretching and folding a dough – to me (in 2007) a totally alien concept! A bit skeptical how this could work, I went ahead with the Englisches Kartoffelbrot mit Ale (English Potato Bread with Ale), stretching and folding the dough as per instruction, and was a bit surprised when I saw how the dough became smoother, more elastic, and really showed little gas bubbles, when I cut it to check the development. My first trial resulted in a very nice tasting bread. But I wasn’t quite satisfied with the rather thick and chewy crust. My scoring could have been better, and I didn’t think making two long bâtards was the best way to shape it, either. 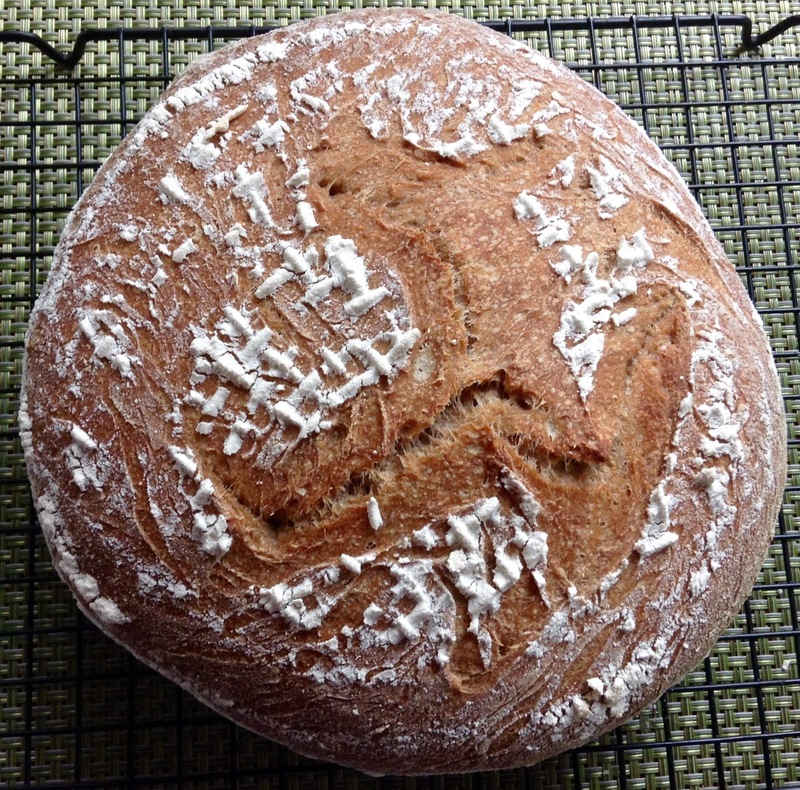 Over the years, I now and then went back to the curious Potato Ale Bread, adding a soaker to soften the whole wheat, raising the oven temperature in the beginning, and using steam to achieve a thin, crisp crust. 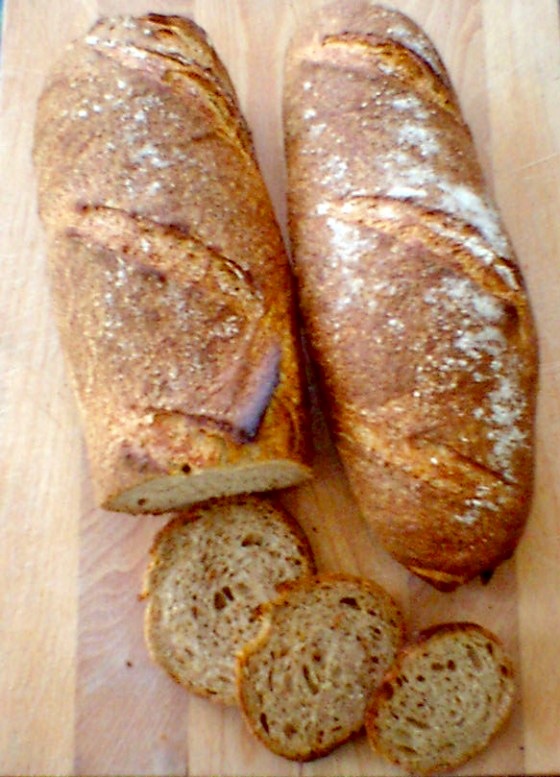 We really like this bread, it is one of the standards I make for myself. My thanks to Flor, the user who posted the original formula, for introducing me to S&F (Stretch & Fold), and a starter that likes ale – same as the baker! Cook potato in water until soft. Measure 225 g of the potato water, and set aside to cool to room temperature. 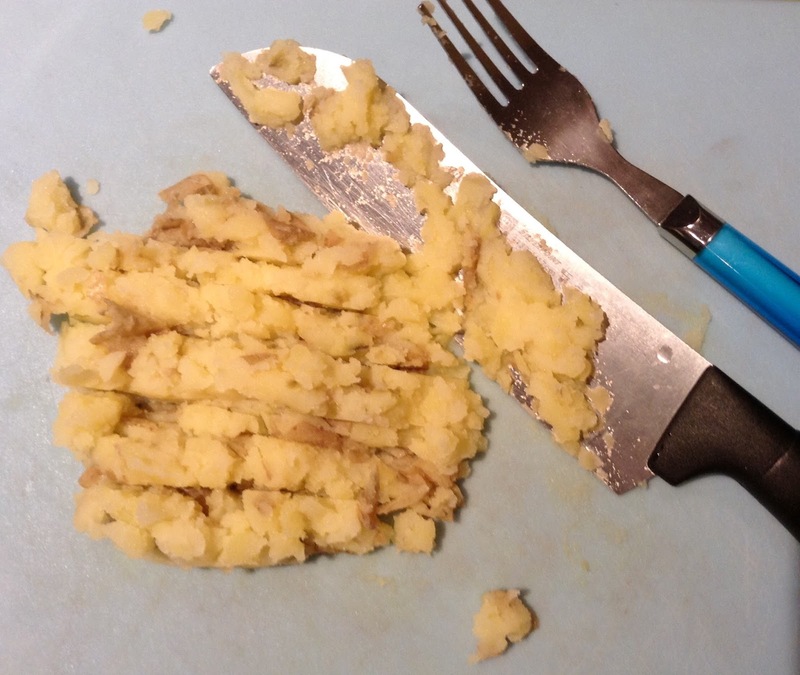 Mash, or cut potato in small pieces, place in small bowl, cover, and refrigerate until using. For the soaker, mix all ingredients in small bowl, cover, and leave at room temperature overnight. For the mash, stir together ale and flour in medium sauce pan until well combined. 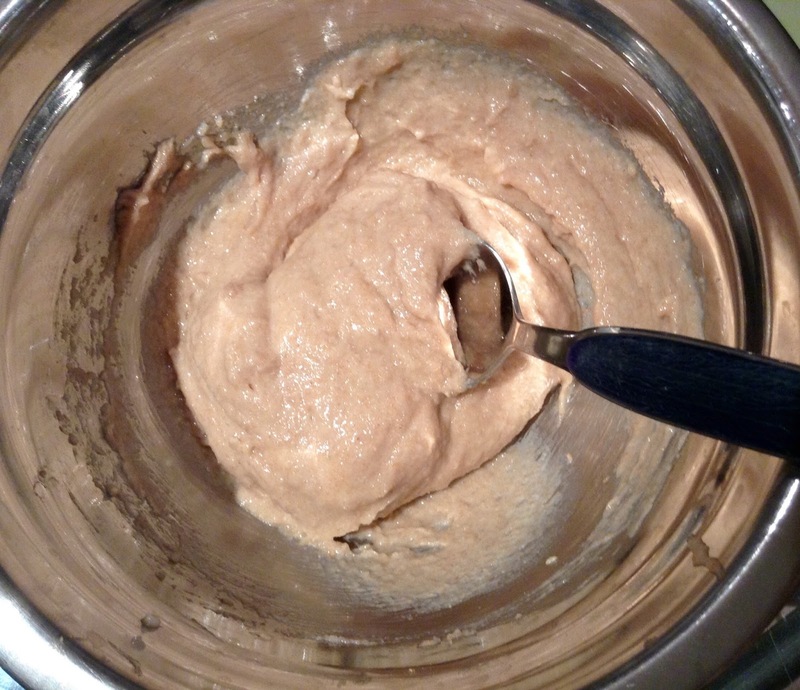 Heat mixture to 167ºF/75ºC, stirring constantly, until it thickens to a cream. Transfer mash to a medium bowl, cover, and let cool until only lukewarm. Stir mother starter into cooled ale mash until well combined. Cover, and ferment at room temperature overnight. Mix final dough ingredients at low speed until all flour is hydrated, 1-2 minutes. Let rest for 10 minutes, then knead at medium-low speed for another 4 minutes. Dough will be very soft and sticky. Transfer dough to lightly oiled work surface. With oiled hands, pat dough into a rough square, fold from top to bottom like a business letter in thirds, then do the same from the left and right sides (S&F). Gather dough package into a ball, and place, seam side down, in a lightly oiled bowl. Cover with plastic wrap. Bulk ferment for 4-5 hours, with 4 more S&F at 1 hour intervals. It should have grown at least 1 1/2 times its original size. Shape dough into a bâtard or boule, and place in floured banneton, seam side up, or down (if you prefer rustic, irregular cracks). Proof at room temperature for 2-3 hours, until bread has almost doubled in volume (Finger poke test: a dimple should fill a little bit, but stay visible). Preheat oven to 482ºF/250ºC, including steam pan and baking stone. 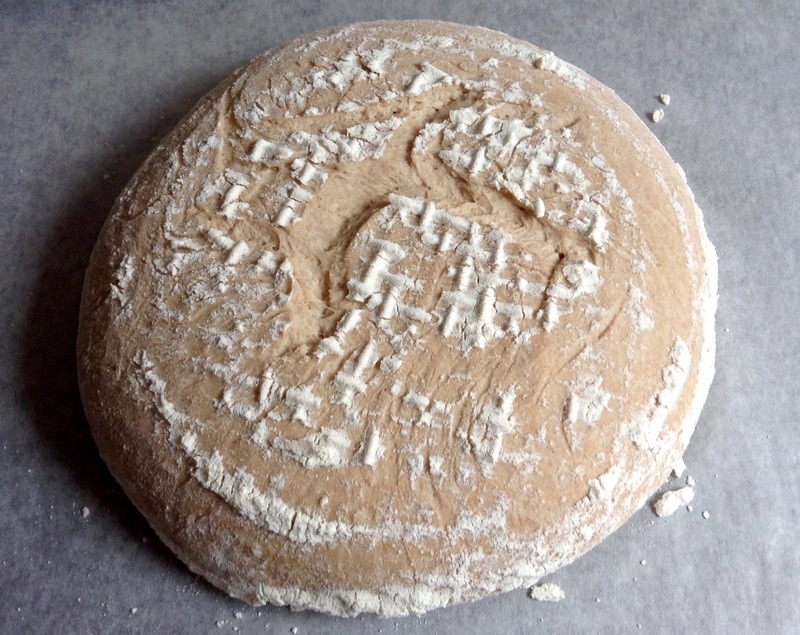 Transfer bread to parchment lined baking sheet (or bake directly on baking stone). Score bread (if smooth side is up). Place bread in oven, pouring 1 cup of boiling water in steam pan. Bake for 10 minutes, remove steam pan and rotate bread 180 degrees for even browning. Reduce temperature to 375ºF/190ºC, and continue baking for another 30 minutes, until loaf is golden brown, and registers 200ºF/93ºC on an instant read thermometer. Let bread cool on a wire rack. Moist and tasty – you can’t go wrong with ale! Ale, potato, and sourdough, I'm in! Definitely trying this one. How interesting! I too love beer but never thought of using it in a mash. Crust and crumb turned out gorgeous! What a lovely and unusual bread. You won't regret it, Don 🙂 Have a nice weekend! Thanks, Farine! This procedure is really unusual, but my starter happily gobbled the boozy mash. I have no idea where this recipe originally came from. This sounds and looks very nice!